Here’s some food-lover’s fashion inspiration from a 1977 issue of Bon Appetit. 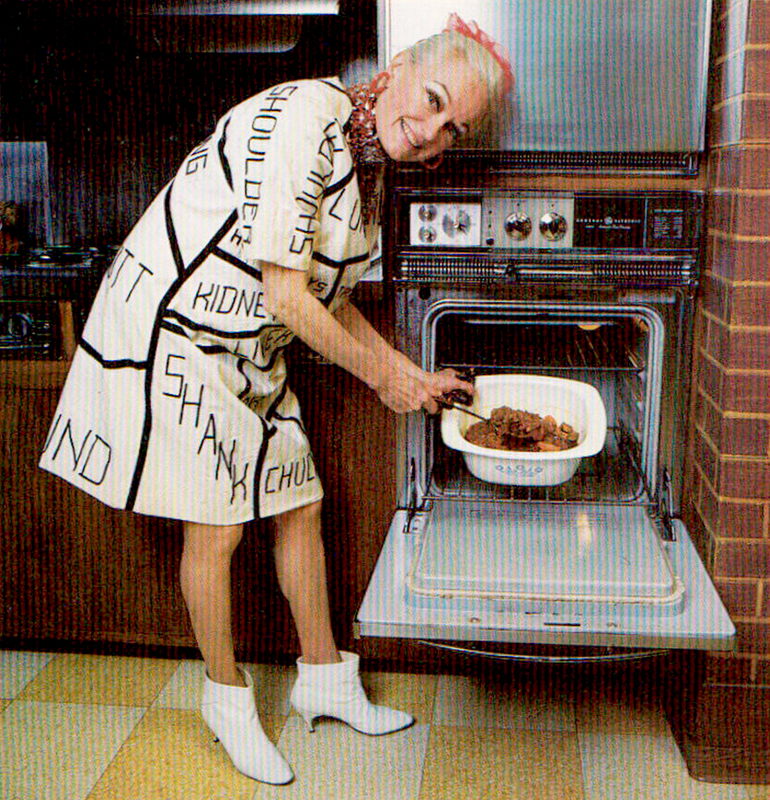 This spread features comedienne, Phyllis Diller, cooking up some meaty goodness in her own retro kitchen. We are loving the dress – it’s meat-chic! We’re sure Ms. Diller’s shift is one-of-a-kind but if you’re in the market for your own carnivorous clothing, etsy seller imyourpresent has a bespoke version of a meat cuts dress with a modern twist. Delicious! Previous Post Charcuterie 101 with les deux Pierres!